If you follow me on Facebook or Twitter you already know how excited I am for today's outfit. And the funny thing is that it consist of really basic pieces of a wardrobe - like a black skirt, white top and a beige bag. But the elegance such a simple outfit reveals is incomparable in my opinion. Wearing my beloved Valentino shoes which are going to be my favorite piece for this fall and Chanel peridot nailpolish which I had shown you here and now that I've tried it I love it even more. 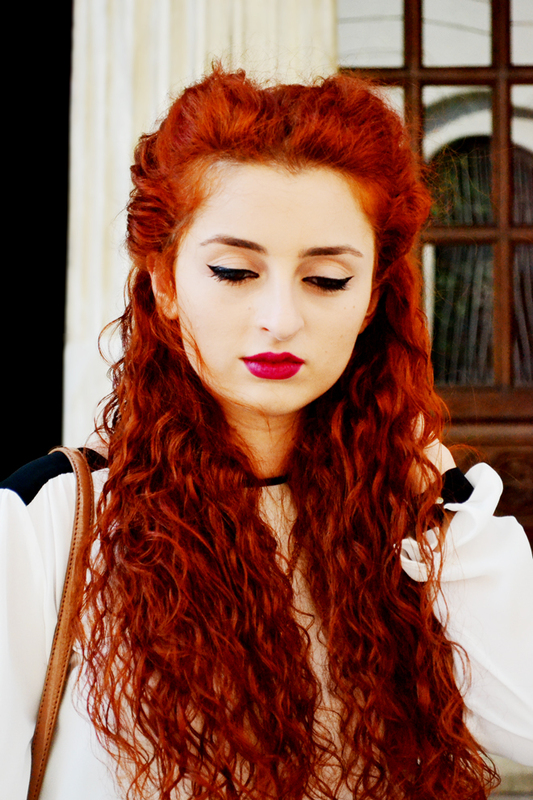 My hair are inspired by the hair-look of Miu Miu fall-winter 2011, don't know if I've done it successfully bur it worthed trying :D .What do you think about today's outfit guys? des kai to diko mou look!! WOW maresei pragmatika.!!! merikes fores ta basics dimiourgun to pio teleio kai chic outfit! oh wow that skirt is just amaaaazing! and u look so gorgeous! Love it! Poli wraio outfit! Aplo alla chic! Oh you made me blush with your wonderful comments, you're all so sweet! Thank you!! 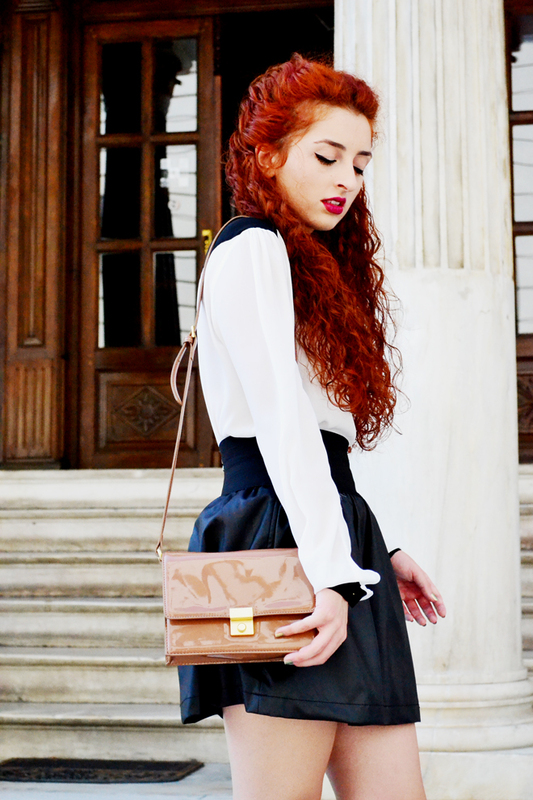 I love the leather skirt, you've styled it soo well with the blouse, great outfit!